Tehran, Feb 18 (Just News): An Iranian passenger plane on a domestic flight crashed into the country's Zagros mountains on Sunday killing all 66 people on board, officials said. The Aseman Airlines flight left Tehran's Mehrabad airport around 0800 (0430 GMT) for the city of Yasuj in Isfahan province, said Mohammad Tabatabai, director of public relations for the airline. The plane crashed into Dena mountain, part of the Zagros range, around 23 kilometres (14 miles) from Yasuj, some 500 kilometres south of the capital, he told state broadcaster IRIB. "After searches in the area, unfortunately we were informed that the plane crashed. Unfortunately, all our dear ones lost their lives in this incident," said Tabatabai. The plane was carrying 60 passengers, including one child, as well as six crew, he added. A helicopter sent by Iran's national emergency services was unable to land at the site of the accident due to severe weather, its spokesman said. The Relief and Rescue Organisation of Iran's Red Crescent said it had dispatched 12 teams to the region. "Given the fact that the area is mountainous, it is not possible to send ambulances," Mojtaba Khaledi, spokesman for the national emergency services, told ISNA news agency. Decades of international sanctions have left Iran with an ageing fleet of passenger planes which it has struggled to maintain and modernise. It has suffered multiple aviation disasters, most recently in 2014 when a Sepahan plane crashed killing 39 people. Tabatabai said the plane that crashed on Sunday was a twin-engine turboprop ATR-72. 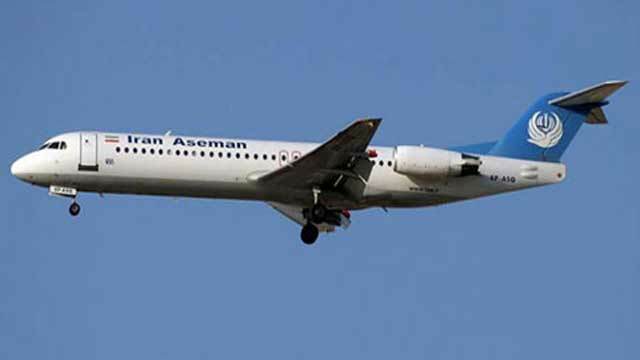 Aseman currently has a fleet of 36 planes -- half of them 105-seat Dutch Fokker 100s. Its three Boeing 727-200s are almost as old as the Islamic revolution, having made their first flights in 1980. Following the deal, Aseman Airlines finalised an agreement to buy 30 Boeing 737 MAX jets for $3 billion (2.4 billion euros) last June, with an option to buy 30 more. The US has maintained its own sanctions on Iran, which block almost all trade with the country, but plane manufacturers were given a specific exemption under the nuclear deal. The US Treasury Department approved the sale of the 80 Boeing jets as well as 100 Airbus planes to Iran Air. The first few Airbus jets have already arrived in Tehran.